Sonu is a management and technology leader with more than 20 years of experience across a diverse set of industries and technology domains. She brings operational and strategic expertise in running real-time mission-critical information systems for governments and commercial organizations. She is currently managing the solution delivery organization for Department of Transportation (DOT), supporting variety of SDLC, PMO, Cyber, Engineering, and System Integration programs and a datacenter. Sonu’s focus is on serving customers with distinction through building high-impact teams and delivery excellence. 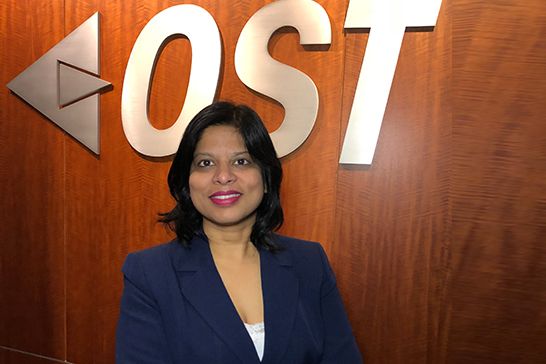 For DOT, she has overseen numerous initiatives like the first successful implementation of a modular methodology integrating Agile and DevSecOps for the FAA, stabilizing critical systems, increasing availability for FAA’s enterprise acquisition system from 88.3% to 99.5%, and designing “CMMI Lean” to reduce CMMI overhead cost. She also led multiple strategic initiatives internally to improve employee engagement and enhance cross-organizational collaboration between business units. Sonu has travelled extensively and has worked in Europe, Asia and the US. She has an Engineering degree from the National Institute of Technology in India and an MBA from the Robert H. Smith School of Management in the United States. Sonu has served on the Board of Directors for RoboMQ (a product company that offers a SaaS, enterprise application and IoT integration middleware platform) since 2016. She is also a member of various professional organizations, including the Air Traffic Control Association (ATCA), Northern Virginia Technology Council (NVTC), Project Management Institute, Washington DC Chapter (PMIWDC) and the American Council for Technology (ACT) and Industry Advisory Council (IAC). She also actively supports social causes, including two orphanages and a school for mentally challenged kids.